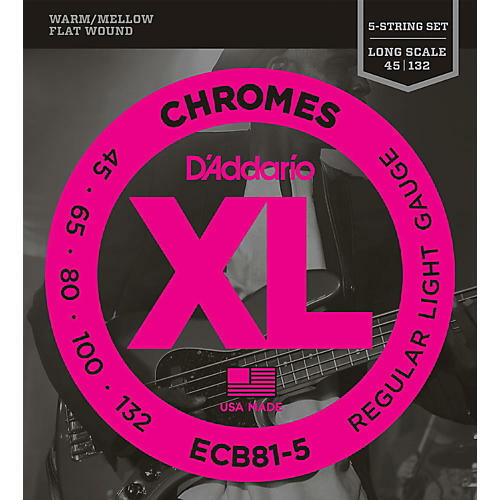 D'Addario ECB81-5 Chromes XL Bass Flatwood Strings are in gauges 45-65-80-100-132. These bass guitar strings have a high finish ribbon wound, soft gauge, and long scale. Click or call to order.